Christine Corby Crane recently retired after a 26-year teaching career from the Athens Area School District in Athens, Pennsylvania, where she was the K-12 Science Department chair for nine years. She was instrumental in the district obtaining PA Environment and Ecology Exemplary Status for the 2007 school year after obtaining three grants to develop and implement a curriculum involving the Chesapeake Bay Watershed. In addition to teaching in Athens, she was an associate professor for Mansfield University, teaching science and technology methods courses. She has also taught K-12 science education courses for Penn State University. 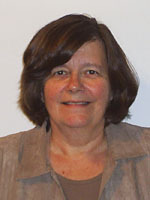 Crane has been a consultant for several federal, state, and community science education programs. She contributed to the Pennsylvania Department of Energy Elementary Energy and Environment Science Activities, Volume VI, and she is also the coauthor of a journal article, “Middle School Students Perceptions on How They Learn Science: Support for Inquiry-Based Classrooms.” She conducts workshops and presentations on teaching science and teaches undergraduate courses and graduate science education courses as an adjunct professor at local colleges. She received her doctorate in curriculum and instruction from Pennsylvania State University, where she focused on science education and language and literacy. A graduate of Elmira College, she earned her master’s of science degree from Mansfield University of Pennsylvania.